Valerie B. Calistro serves as Managing Partner of Ventura, Ribeiro & Smith and currently concentrates in Personal Injury Law, with a focus on the representation of victims of sexual assault, including minors, and traumatic brain injuries. Attorney Calistro has represented thousands of clients in civil cases throughout Connecticut and New York, in the State and Federal Courts of these States, as well as in arbitrations throughout the United States in International Trade matters. As a Personal Injury attorney, she has successfully represented and settled thousands of civil cases, several with values in excess of one million dollars. She currently splits her time between the Firm's Danbury and New York City offices. Attorney Calistro was one of the founding partners of Ventura, Ribeiro & Smith's former branch office in the World Trade Center, New York City, where she litigated international trade cases in the Federal Courts of New York for several years. She also represented, pro bono, a victim of the World Trade Center, who survived the September 11, 2001 attacks. She was nationally recognized for her volunteer efforts in this regard. Attorney Calistro is a member of the Connecticut Trial Lawyers Association and the Danbury Bar Association. She is a also member of the Leaders Forum of the American Association of Justice, and the National Crime Victims Bar Association. She also served as a panelist on the American Bar Association's Alternative Dispute Resolution National Forum in Washington D.C. on the topic "Mediating the High Profile Controversy", discussing high profile sexual assault and abuse cases, Mass Torts, the BP Oil Spill, and the September 11th terrorist attacks on the World Trade Center. Over the past several years, Attorney Calistro has spearheaded committees to organize charity events on behalf of the Firm, including events benefiting the Women's Center of Greater Danbury, the Hispanic Center of Danbury, Ct, the Dorothy Day Foundation, the Community Action Center of Danbury, the Community Outreach Committee, and Literacy Volunteers of America. 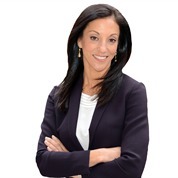 Attorney, Valerie B. Calistro was appointed to the Women's Business Council Steering Committee (WBC), for the Greater Danbury Chamber of Commerce. The WBC was established in 2010 as a resource for the personal and professional growth of women in the Greater Danbury community and, to further inspire and celebrate women through a collective network of guidance, education, support and leadership. She is also a member of the Fundraising Committee of the Wendy Hilliard Foundation, benefiting unprivileged youth in the Bronx, New York, and is a volunteer with New York Cares and Literacy Volunteers in New York City. In her spare time, Attorney Calistro is a freelance writer for an online woman's magazine, covering legal and social topics, and is an avid gymnast & snowboarder.